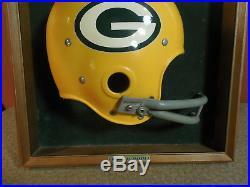 This is a Vintage 1970's Green Bay Packers Riddell Helmet Wall Plaque by Kotler. 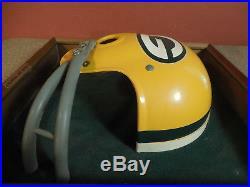 It is 15 1/2" x 15 1/2" and features a full size Riddell Half helmet inside. 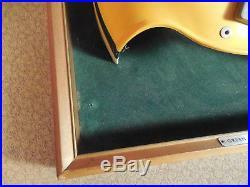 Has wood frame and green felt background. 2 Small mounting holes in green felt at bottom but not a big deal. Please see all pictures for best description. 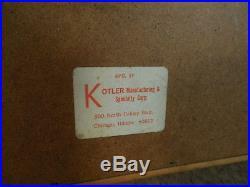 Please READ description and EXAMINE photos carefully. 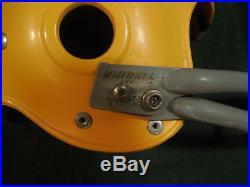 Items are used and can show wear such as nicks, chips, scuffs, soiling etc from normal use. I will call out any problems that I see. If you have a question Ask and I will do my best to answer. 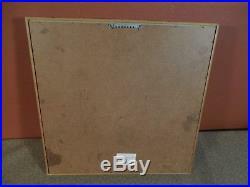 All ac electrical items are standard US 110 volt current unless stated otherwise. 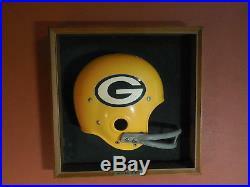 The item "Vintage 1970's Green Bay Packers Riddell Helmet Wall Plaque by Kotler" is in sale since Friday, January 26, 2018. 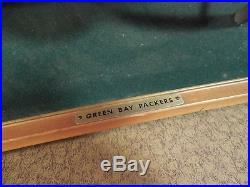 This item is in the category "Sports Mem, Cards & Fan Shop\Vintage Sports Memorabilia\Cups, Mugs". 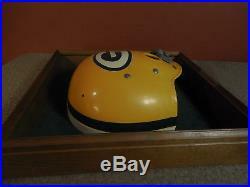 The seller is "bugthug" and is located in Pulaski, Wisconsin. 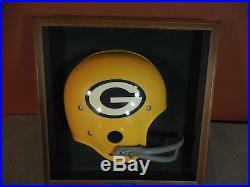 This item can be shipped to United States, Mexico.